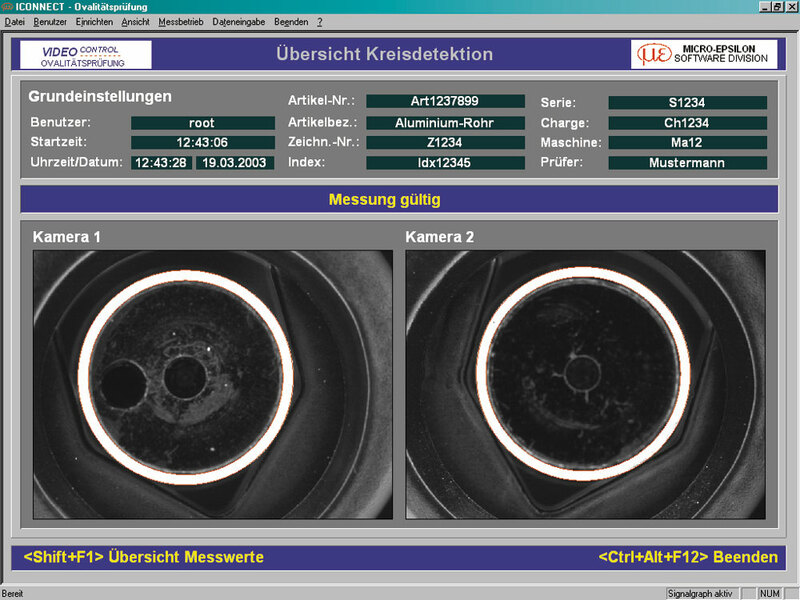 For the highly accurate measurement of the roundness of the ends of brake pipes in production with short cycle times, only a precise and versatile vision system is able to fulfill the required rapid data acquisition with the associated evaluation. In this regard the diameter measurement of individual pipes, as normally carried out in the industry through the center of the circle, is nowhere near sufficient. For reliable quality assessment the deviation of the actually existing circular geometry must be dimensionally acquired over the complete 360° circle.